As a follow-up to our summer webinar series, Exploring the Immersive Learning Landscape: Headsets, HoloLens, and Higher Ed, OLC invites you to continue the conversation about virtual and augmented reality with this free fall webinar devoted to the topic of accessibility. Join our invited speakers, Jessie Haugh and Beth Crutchfield from Level Access, as they discuss how virtual and augmented reality can be made accessible. Virtual Reality and Augmented Reality (VR/AR) is one of the hottest topics in technology right now. One of the challenges that any new technology faces is making the technology accessible to persons with disabilities. • How can VR/AR be made accessible? Explore the concepts. • I’m ready to take on the VR/AR World! What do I do next? Jessie Haugh has been an Accessibility Specialist with Level Access for the past two years. Jessie’s area of interest is accessible video game development, where she brings her passion for video games and accessibility together. She is the Head of Research and Development with The Ablegamers Charity, a non-profit that works to bring accessibility to video games, and is a partner of Level Access. 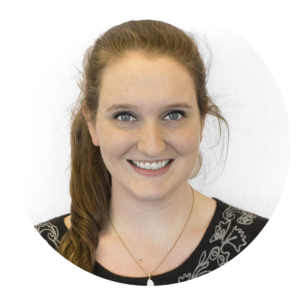 As the growth of VR/AR implementation hits the market, Jessie has been working closely with both Level Access and Ablegamers in ensuring that accessibility measures are not left behind. In her free time, Jessie enjoys spending time with her newly-married husband, playing Overwatch, and hiking the Appalachia. As Vice President of Policy and Program Services, Beth Crutchfield brings nearly 20 years of program management and policy implementation experience to the Policy, Program and Training teams at Level Access. Beth has extensive experience working on managing and driving resolution for clients on the terms of Consent Decrees and Office of Civil Rights (OCR) complaints. Her deep regulatory knowledge extends beyond the Digital Accessibility space as she holds many certifications. 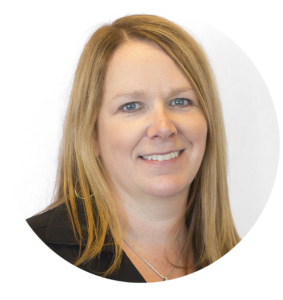 Beth has extensive experience with testing, remediation, risk profile analysis, structuring remediation programs and building long term Digital Accessibility strategies. While she has significant experience in the financial services industry, she currently leads much of Level Access’ work in the education vertical. Outside of work, Beth remains active in the disability advocacy community in her hometown of Richmond, VA.